Allen Swift, Howard Morris, Carl Reiner, Norma MacMillan. 2018 Run time: 62. BRAND NEW BRAND NEW Amazing low price. New. 090328300210 Please allow 4-14 business days for Standard shipping, within the US. Thank you for supporting our small, family-owned business! New. 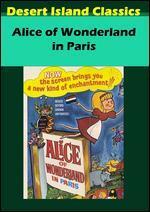 0637801683844 After Wonderland, Alice dreams of going to Paris. 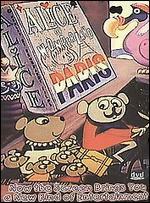 A mouse named Francois, the grandson of Anatole, agrees to take her there if she will tell him her favorite cheese. Along the way they share several stories. Norma Macmillan; Howard Morris; Carl Reiner; Allen Swift. New. Run time: 52 mins. New. B004SCMSV0 Please allow 4-14 business days for Standard shipping, within the US. Thank you for supporting our small, family-owned business!